colleen & david // charlottesville, va wedding — Carly Romeo & Co.
Today I'm so excited to share an amazing wedding I got to shoot last month: the wedding of Colleen and David! Colleen is the SECOND former president of my college feminist club whose wedding I've done (and I plan on doing more, way more, in fact it's required that if you were in FIFE at UVa you must hire me to do your wedding photography) and her boo David is an artist and all-around amazing [feminist] guy. 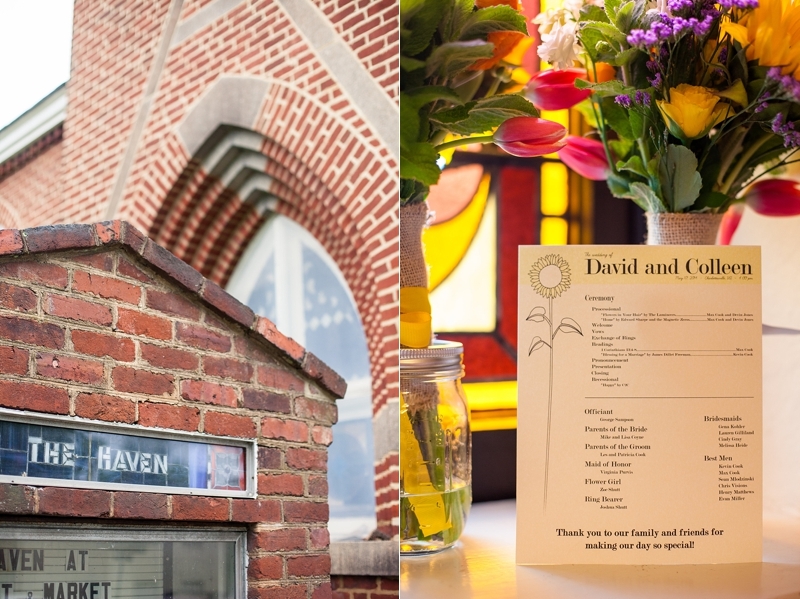 They had their ceremony at The Haven in Charlottesville and then headed over to Old Met Hall (like Sarah and Brendan!) for some dinner, cupcakes, and tons of dancing and fun! Extra special details of this wonderful night include: vegan cupcakes from Pearl's, amazing honey party favors (reminded me of Nathalie and Joseph's wedding! ), a hand-painted wall runner (photo below), and an all-around relaxed and celebratory vibe! I've said it before and I'll say it again: I am SO LUCKY to be able to work with couples like Colleen and David, who care more about having a fair and equitable partnership (and a party to celebrate that) than about spending tons of money trying to design The Perfect Day (TM). I think you'll see in the photos that they were able to put together a simple, beautiful, meaningful, sincere, and of course SUPER FUN evening for their community. Thanks for having me, y'all!